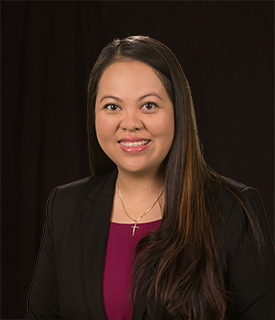 >> Trinh T. Nguyen, M.D. Dr. Nguyen is passionate about serving the community, advocating about preventative medicine, health education, global health projects, and volunteering. Her goal is to one day travel to rural areas of the world to serve those who are in need of medical help. In her free time, she volunteers for church activities, youth groups, sings in choir and karaoke, and spends time with family and friends. my care provider is great but also the nurses are fantastic. there respectful, cheerful and caring with good sense of humor. I had a different nurse each time and their all fantastic. I am impressed with the outreach that was shown towards my low vision and the offer to find resources to help me. This physician was amazing! Calling on her cell ph. w/updated info. Checking on my grandson; getting him in to ENT quickly! JUST EXCEPTIONAL! In my records it clearly shows that I have a history of sinus infections that last for months and take multiple rounds of serious antibiotics. I was sick when I went in for this appointment, I am sick now. [...] This woman blew me off, in the new no antibiotics for virus age, she would not trust me to believe that I am sick. It is a week later and while I am not coughing as violently, I have all of the other symptoms, and you only have to look at me to know I am sick. I just don't know how ill I have to be in order to get help. The two times I visited an Express Care Clinic I got better care and attention. The people there read my chart and spent more time discussing my history with me. This woman acted like she didn't have the time to be in the room with me, even after a med student and a resident had already spent nearly an hour of my time. left many messages with no return call about my medication. Dr. Nguyen was excellent! She was very thorough and had a calm, caring demeanor which made me feel at ease. She was nice enough, but I didn't feel like she sincerely cared. I also feel like she was not very familiar with my condition, she didn't ask relevant questions, or had any familiarity with the common side effects of the type of meds I've been on. She refilled my Rx that I was in need of so that was the most positive part of coming in. She didn't listen to the questions I had or the concerns I had as well. She did no testing even though I was advised I would have blood work done when I went it. She preformed no examination, just talked at me and told me what medication to take. I tried to voice my frustration with not really understanding what was going on, but she didn't answer my questions. She basically just told me to take the medication they prescribed and come back in 3 weeks. I can't continue to take time off when no work towards a resolution is done! I WILL NOT BE COMING BACK BECAUSE I WAS NOT LISTENED TO. i think dr nguyen has the perfect combinafion of knowledge and caring, and i hope she remains local forever!